Ben and I were having a quiet morning in today, watching rain streak the windows and enjoying some TV when I ran into a bit of an identity crisis. The narrator on the show we had on said something about how the characters had been “around the world,” and I thought, “wow, that must be such a cool feeling.” But wait, I thought a moment later…I’ve been around the world too, just in the last few months. And somehow, I still don’t feel like a real traveler. Ben and I have literally circumnavigated the globe this year. We’ve ridden on nauseating buses, bumpy flights, tiny ferries, gigantic ferries, irritable camels, sketchy tuk-tuks, law-defying taxis, and bone-rattling bicycles, usually with a smile–or at least an “it’s-all-part-of-the-adventure” optimism. And yet, there will always be someone more intrepid than us two flashpackers, whether it’s the presenters on a reality TV show or our fellow hostel guests. We’ve always spent at least $15 on a night’s accommodation, in some places much more. We eat three meals a day, usually in restaurants, plus the occasional snack at coffeeshops. In short, we’ve been living pretty normally, regardless of our location. We’re not “roughing it,” so do we really count as world travelers? When you think Northern Africa, I’m sure snowy peaks are the last thing that come to mind. 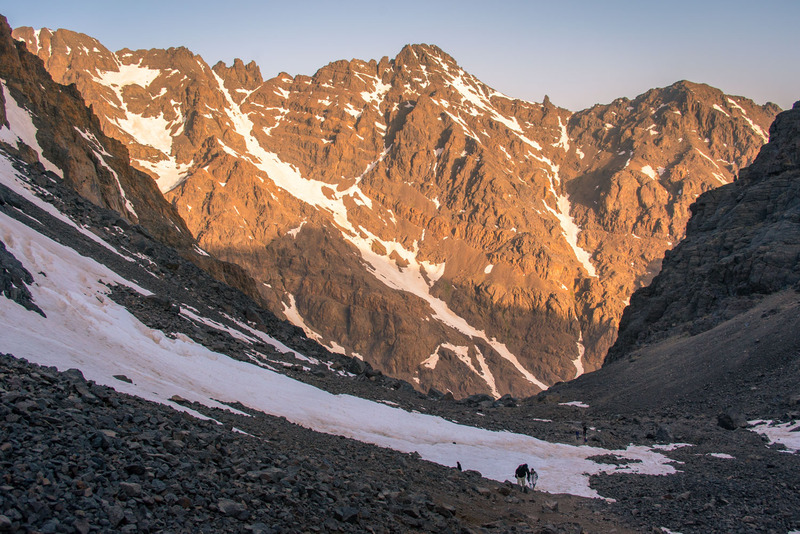 But Morocco is home to the Atlas Mountains, and its highest peak, Jebel Toubkal, was still covered in snow on the sunny May morning when we reached its summit, 13,671 above sea level. Ben’s sister was with us for this part of the trip, and she set the pace for our climb. Because she’s the fittest and fastest person I know, I felt like I was dying long before we got to the top. But we all made it in one piece (and in only a few hours!) and as a reward, we got to sled down the huge snowfields we had crossed on foot on the way up. Yes, sledding. On our butts. In snow. In May. In Morocco. Ironically, it turned out to be the sledding that actually almost killed me. 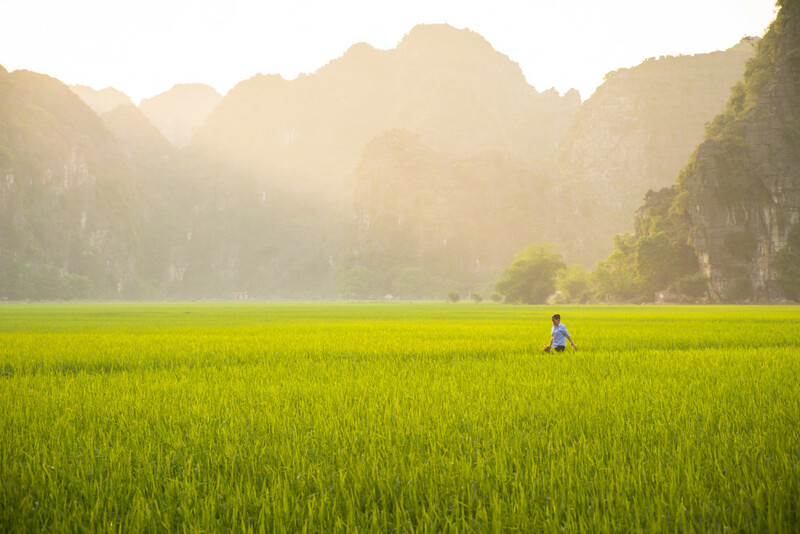 Vietnam will forever be one of my favorite places on earth, thanks equally to the warm welcome of its friendly people and the amazing food we ate every day of the trip. But that doesn’t mean it wasn’t an adventure. An innocuous piece of trash led us right into a scam on the streets of Hanoi. We arrived in Saigon a few days before the anniversary of Reunification Day, when America officially recognized their defeat in the Vietnam War, and watched the rehearsals for the parade reenacting the whole thing. In between those two iconic Vietnamese cities (which couldn’t be more different), we climbed holy mountains, boated around the Mekong Delta and through a floating market, ate some things I couldn’t identify, much less pronounce, and generally had the time of our lives. If I never hear the words “unseasonably hot” again, it will be TOO SOON. “Alright, I guess we’re going to Copenhagen tomorrow.” Planning a trip on such short notice was truly one of the joys of our time abroad (although a little hectic). Our time in Hungary ended a full week before we needed to be in the UK for a housesitting gig, and we had a really hard time deciding where to go during that week. We chose the cheapest place to get to from Budapest, which happened to be Copenhagen, thanks to the vagaries of budget airline fares. 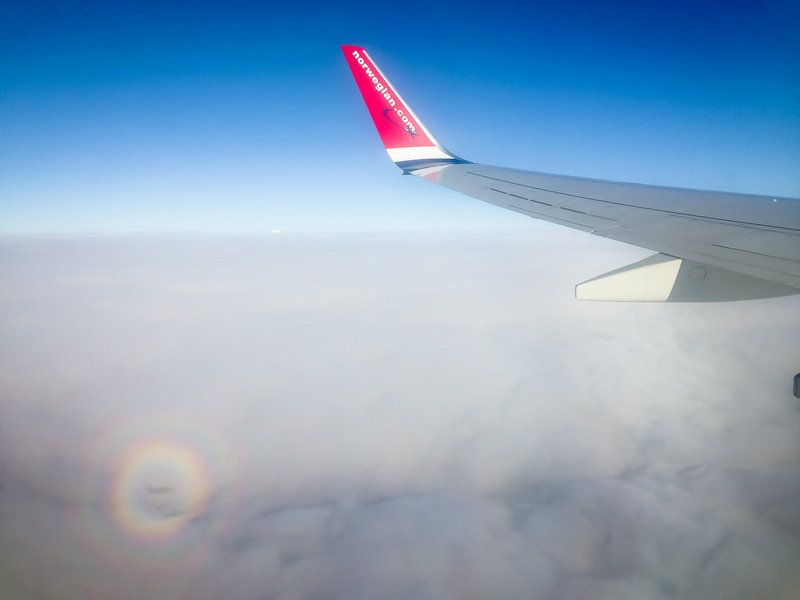 It was a great decision; we never thought we’d be able to afford Denmark on our tight budget this year, but the cheap fare and a reasonable Airbnb made it possible. Our visit was far too short, but we’ll be back to Copenhagen someday. And it is now one of my life goals to buy same-day airfare: wake up, decide to go on vacation, and be in a new place by nightfall. You know all those gorgeous #vanlife pictures on Instagram, with the sweet Sprinter set-ups? That was NOT us. We lived in a beat-to-hell, 20-year-old Toyota minivan with stains on the ceiling and a serious coolant leak. That said, I would go back to that life in a HEARTBEAT. 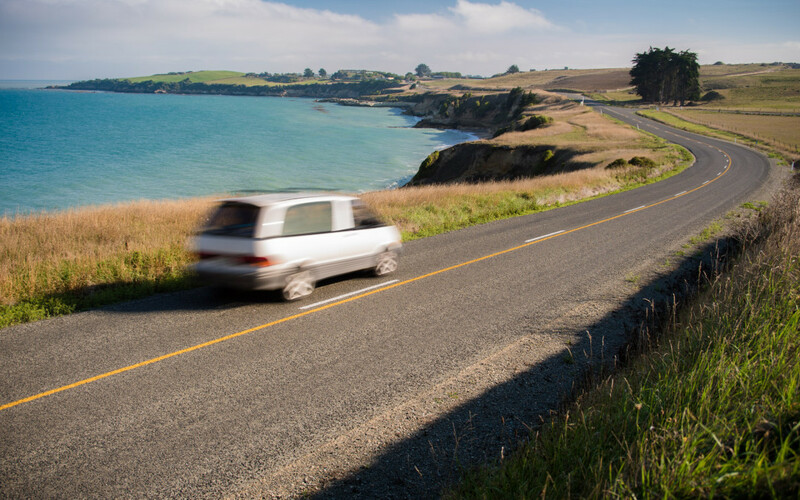 We used the van to sleep and to get from point A to point B, and for the rest of the time, we were in the great outdoors–in New Zealand, aka MIDDLE EARTH. We cooked outside. We ate outside. We showered outside. We had glasses of wine and talked about our dreams outside. And yes, we went to the bathroom outside (only a couple times–because hey, conservation and stuff). 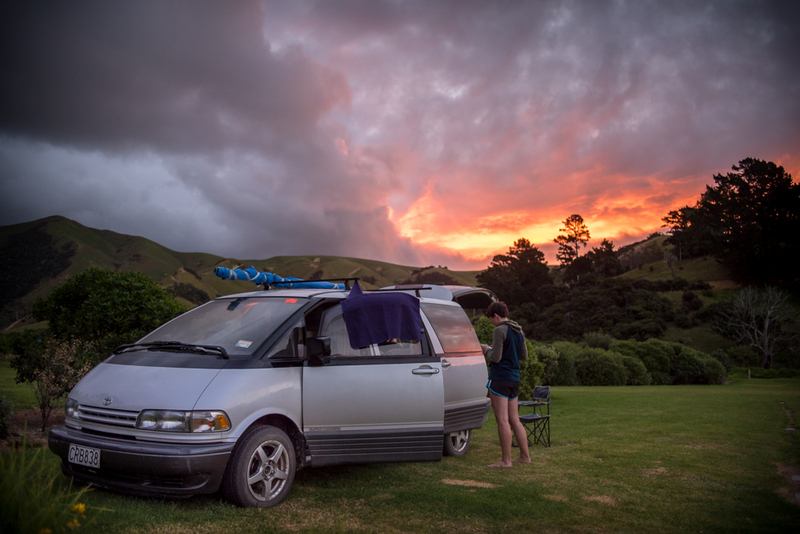 I could not imagine a better way to see New Zealand, and I could not imagine a country more well-suited to living in a van. Budapest: What's not to like?